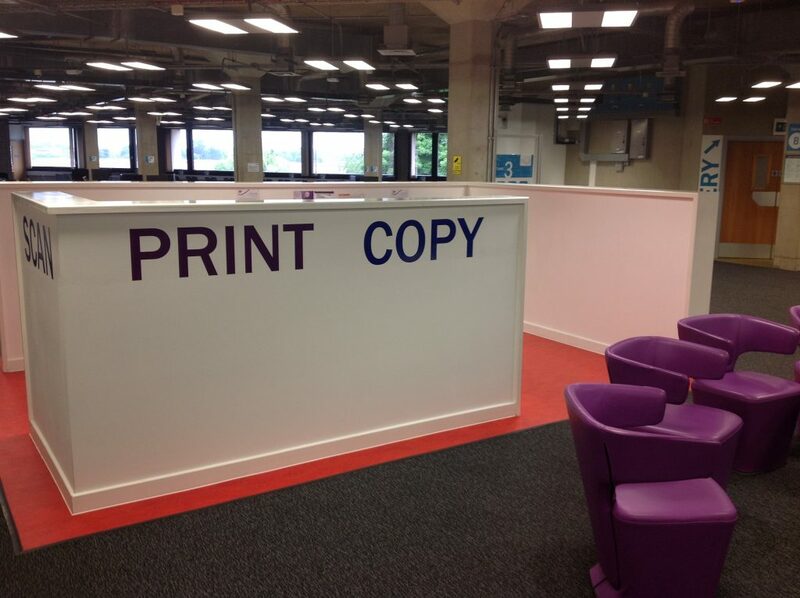 On Monday 3rd July work will commence on relocating the printer/copier area in the middle of Level 3. This will involve the removal of the printers and the knocking down of the screening walls surrounding their location. During this work a significant proportion of Level 3 will be unavailable to visitors, though access will still be open to the PC Clinic, the Seminar Rooms and Training Room 1. The printers from this area will also be unavailable for use during this time – if you need to print, photocopy or scan documents, alternative machines are still available on Levels 1.2 and 4. This work will involve some noise and disruption. We apologise in advance for any inconvenience this may cause. This entry was posted in Building Work, Library, PC Clinic, Service Announcements, Study spaces by Steven Lake. Bookmark the permalink.